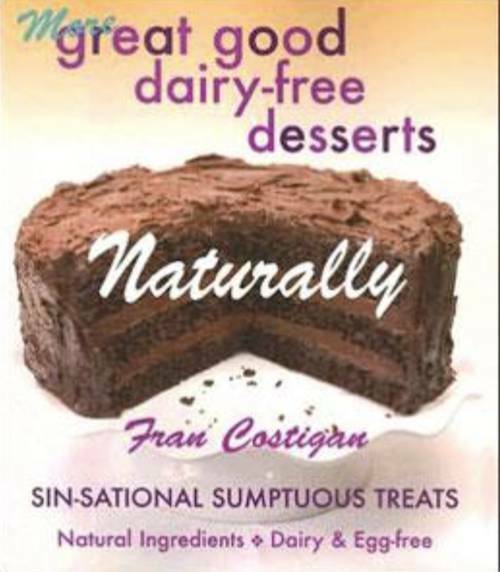 Chef Fran Costigan is internationally renowned as the authority on vegan desserts. Her unapologetically luscious treats lack nothing—except dairy, eggs, white sugar, and cholesterol. Fran worked in both traditional and vegan pastry kitchens before moving into teaching over 20 years ago. 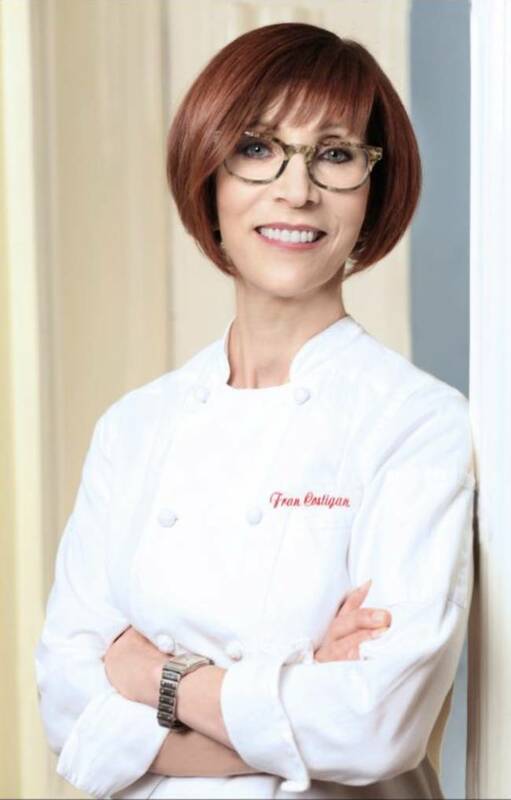 Her lively classes include the Costigan Vegan Baking Boot Camp Intensive®. Fran is very excited to be working as Director of Vegan Baking and Pastry with the Rouxbe Cooking School. You can find Fran sharing her passion across North America and Europe, at schools, conferences, festivals, corporations, such as Google, at resorts and on cruise ships too. She is proud to be an advisory board member of the New York Coalition for Healthy School Foods, Vegan Trade Council and Main Street Vegan Academy. 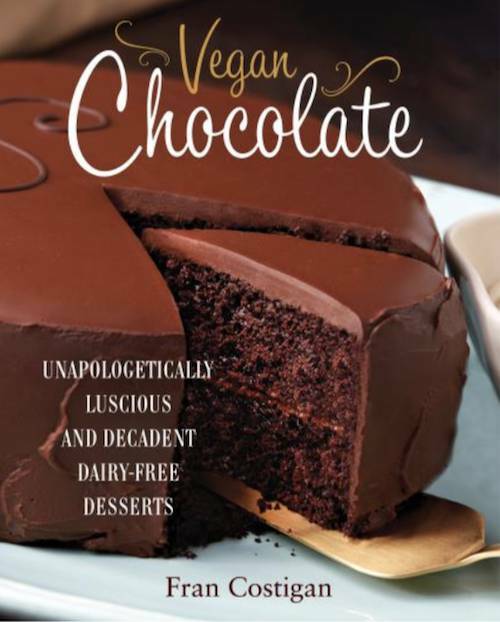 Fran’s latest book, Vegan Chocolate Dessert: Unapologetically Luscious and Decadent Dairy- Free Desserts, has been translated into three languages, and follows the classic, More Great Good Dairy Free Desserts Naturally. How did veganism become part of your life? Fran: I became vegan first for health reasons. After completing the professional chef program at the New York Restaurant School, I was hired as pastry chef for a gourmet takeout shop on Manhattan’s Upper East Side. For me this was a dream come true. I happily baked muffins, scones, popovers, cookies, pies and cakes all day, using loads of butter, cream, eggs, and white sugar. A pastry chef must taste everything that is made, and I did, but within a short time, my lifelong digestive upsets became worse making it increasingly difficult for me to continue. Less than a year after I started in the job that I loved, I had to leave in order to find out what was wrong. In researching my symptoms, by chance I picked up the landmark book Food and Healing by Annemarie Colbin, Ph.D. Her theory, that food and health are linked, made sense to me, and I decided to eliminate all dairy and eggs—in fact, all animal foods—as well as white sugar, from my diet. I ate seasonal, organic, whole foods, and I felt better within days. I never felt deprived, finding the plant-based diet had far more choice. I was amazed at this easy and delicious cure. So, while I started eating vegan for health reasons, as happens, I quickly learned all the reasons for living a compassionate, vegan lifestyle. EVEN: What advice would you give to a vegan advocate wanting to become more of an activist? Fran: Any steps are positive steps. Encourage, but do not preach or judge. Be open. EVEN: What do you think makes veganism hard for people? Fran: I regularly hear concerns about deprivation, that favorite foods will have to be given up and that a vegan diet is too time consuming, and expensive. I explain that a vegan diet is, in fact, one of abundant choice, easy and affordable. Compassion tastes good. People do need to learn to cook. Today there are so many good cookbooks for absolute beginners and for pros. Check out the Plant Based Programs at Rouxbe.com. Lead chef Chad Sarno is brilliant, and I have recently joined the company as Director of Vegan Baking and Pastry to bring my Vegan Baking Boot Camp online. EVEN: If you were to mentor a younger person today, what guidance might you offer? What encouraging words might you share with a newbie? Fran: Be patient with yourself. Standing up for the things you believe in is critical, but this can be done with compassion. Educate yourself, put yourself in the other person’s shoes and be grateful for every day. Although we are seeing an exponential move towards veganism for many reasons---health, the environment, on behalf of animals--- change takes time. EVEN: What, in your opinion, is the most misunderstood idea about veganism? EVEN: Do you have a favorite vegan meal or food you can tell us about that really makes veganism work for you? Fran: You might be surprised that although I live in NYC with its abundance of fabulous vegan restaurants, my favorite meal is a big mixing bowl of salad filled with a variety of greens, leftover beans or tofu or tempeh, cooked and raw vegetables that I make for myself. Juice a lemon, sprinkle with nutritional yeast, and I am in heaven. I love eating a seasonal whole-foods, plant-based diet. I like also to get to restaurants like the Candles (West, Café and Candle 79), Dirt Candy, Peacefood Café, By Chloe, and in Philadelphia, Vedge and V Street for special treats. This list is by no means complete! EVEN: What one thing makes veganism worthwhile for you? Fran: I feel healthy of mind and body being a vegan, and for that I am so thankful. As I travel quite a lot teaching vegan cooking classes, I am very grateful for the welcoming vegan community, across the US and around the world. EVEN: Any opinion or insight on the future of veganism in today's world? Fran: Veganism has a bright future. Documentaries, such as Unlocking the Cage, Vegucated, Cowspiracy, and Forks Over Knives, to name a few, have raised awareness exponentially, and the fact that vegan foods, such as really good cheese, ice cream, yogurt and ready-to-eat vegan meals are so widely available is driving this change. We now have a voice in Washington, thanks to the vegan lobbying group, The Vegan Trade Council. I am proud to be an advisory board member of the Coalition for Healthy School Food. More schools are adopting healthier school food, so there is hope the epidemic of very young, very unhealthy children, will be reversed. As my first mentor told me, you change your food, you change your life.